Do you need a unique hostess gift, or is someone's birthday, Mother's Day, Father's Day or Christmas fast approaching? 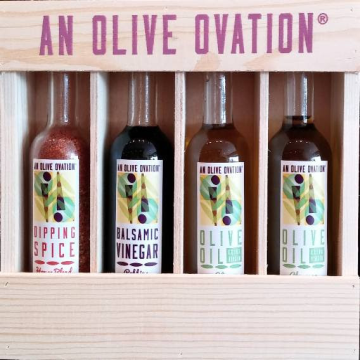 For any special occasion An Olive Ovation offers gourmet and fine living items sure to be appreciated and hard to find elsewhere. 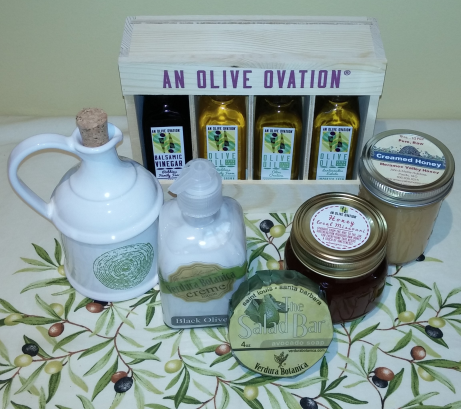 In addition to the extra virgin olive oils and gourmet vinegars you can consider olive oil based body care items, and a wonderful selection of top brand items for your kitchen and dining room. We have placed a collection of our favorite gift items here. Would you like your gift to have a local connection? Extra Virgin an Olive Ovation is pleased to offer a variety of products from right here in St. Louis; or very nearby. Our cookbook selection includes six by local authors. Our house brand oil and vinegars are bottled and labeled right here in the store. Our famous blue cheese stuffed olives are made here in small batches, maximizing freshness. We feature local designers or producers of honey (Big River, Meramac Valley, Indian Creek) , soaps (Verdura Botanica), salami (Salume Beddu), ceramics (Mary Judge) and glassware (our own Sara Perry!). Consider starting your local gift search here. 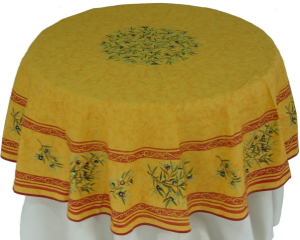 La Cigale supplies our table linens from the Provence region in France that are "Purely Provençal ... Truly French ... Simply Beautiful!™". Our La Cigale selection features their renowned Jacquard patterns that are 100% cotton weaves with teflon fabric protector that lets the patterns stand out while protecting against stains. We also feature the Provencal cotton print cloths with the protective acrylic coating. They are incredibly durable. We have been using one in the store since 2007 and it looks nearly new. We are also happy to special order unstocked and custom items. We are proud of the quality and diversity of the ceramics selection we have found for our customers. You can find beautiful tableware creations from local artists (St. Louis), nearby artists (Chicago), and artists from as far as Alaska, Bulgaria, France and Spain. 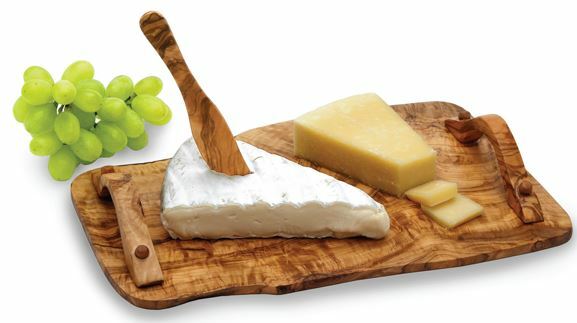 In addition to these artisan items we have selected the best from world famous Vietri; Italian artisan made. Begun in the Italian town of Vietri sul Mare on the Amalfi coast, Vietri today works family owned and operated factories throughout Italy to market the largest collection of handcrafted Italian tableware and home decor products. Their motto is "irresistably Italian". 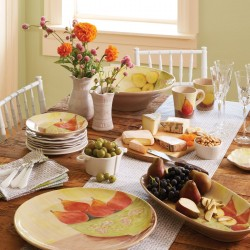 Our selection at the store features gorgeous hand painted plates, bowls, and serving pieces, along with beautifully glazed tableware and olive oil cruets. 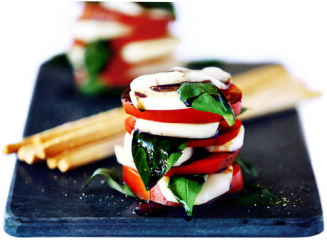 Stop by to see the beauty of "irresistably Italian". Since 1892, Bérard, located in the mountains of Royans, which border the northern edge of Provence, has specialized in creating true French hand-crafted artisan items for the kitchen and home. Each item is produced by respecting the most important values of the company which are the people, the material and the environment. Our olive wood items from Bérard are produced from very old trees (trunk but mainly branches), which no longer bear fruit. The wood is crafted into something beautiful instead of being discarded. 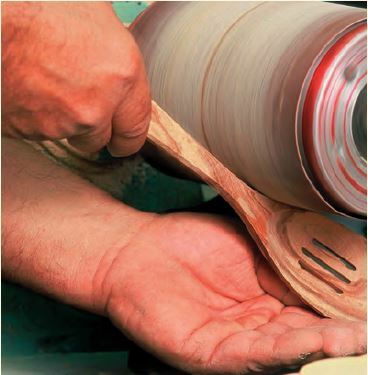 Michel Carré inherited his passion for woodcraft from his artisan father. While working in Provence he discovered not just the natural beauty of richly grained olive wood but its wonderful arome of freshly pressed green olives. 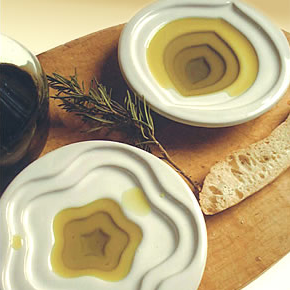 Because of olive wood's robustness and natural olive oil essence, Michel has crafted a large range of beautiful olive wood kitchenware. All of the wood comes from orchard trees that are no longer producing fruit. Think cars when someone says Peugeot? 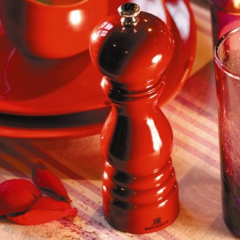 Well, Peugeot's first pepper mill (1874) predates their first automobile by 16 years. Their grinding mechanisms have a lifetime guarantee and use advanced technologies specific to the kind of spice being ground. We feature their gorgeous lacquered and natural finish salt and pepper mills and their unique cheese & nut grater/shaver. A mission to preserve the world's soapstone quarries drove the founders of Sparq Home. An astounding 80% of all mined soapstone is considered waste! This waste is left at the site, destroying the natural landscape. Sparq founders Steven Chavez and Justin English set out to clean up the disastrous quarries and get good use out of the discarded soapstone. They came up with innovative items for the kitchen and for entertaining that bring you soapstone's benefits of maintaining both hot and cold temperatures. From a tray for hot pizza or cold sushi, to rocks to keep your whiskey cool, this natural product can enrich your life with style.